Sellers Comments - Only 2 owners from new including myself. I've owned this for almost 3 years, the previous owner covered only 3000 miles after she bought it brand new on the 1st of March 2006. ill heath prevented her from driving 12months after she bought it so the Discovery was parked in the garage for the following 7 years. I purchased the truck in 2013 with just over 3000 miles on the clock. Mot history shows:- 2013 mileage was 3312. 2014 mileage was 6053. 2015 mileage was 7964. Current mileage 10500. Upon purchasing l fitted a personal plate and l had both timing belt kits changed even though it had only covered 3000 miles. Now back on it's original number plate. Remote central locking. Rear parking sensors. Electric mirrors and windows. It has been serviced every 6 months and has never let me down. This version has the cheaper tax than the later ones. It has coil spring suspension so there are no worries ever about airbag or compressor failure. Both EGR's were removed to prevent any future clogging up of the intake system and the Disco has been tuned with a power box, decat pipe and the centre box has been removed which gives it a lovely rumble. Should the new owner prefer the orginal cat and exhaust they can be refitted if they so wish. I also had genuine Land Rover colour coded arch spats fitted and also a brand new set of 22" alloy wheels and tyres which have only covered 6000 miles. Once again these can be changed for the originals as the original parts have been kept in storage. 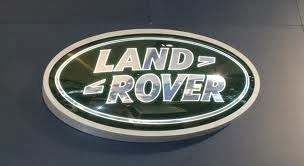 Obviously the price can be adjusted if the new owner prefers the Discovery standard. I had a towbar fitted so for the first 7 years of it's life it has not done any towing plus l have not towed anything huge. Still running on the original brake discs and pads. Lovely condition inside and out, there are no issues or problems and it drives like new.